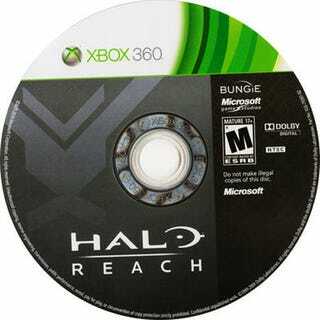 Yesterday we reached out to Microsoft regarding reports from many readers that their Halo: Reach discs were causing a disc read error, making the newly launched game unplayable. Today Microsoft responds. We mentioned the issue yesterday in our post about the inability of 4GB Xbox 360 consoles to play cooperative multiplayer in Halo: Reach and have been eagerly awaiting a response from a very busy team at Microsoft. It took 24 hours, but the company finally issued a statement regarding the issue to Kotaku. "We are aware of a very small number of customers reporting that their copy of Halo: Reach is causing a "disc read" error. Those affected should contact Microsoft customer support at 1-800-4MY-XBOX for troubleshooting assistance." If you called support previously and were directed back to your retailer to return the disc, call support again now that they know what's what.